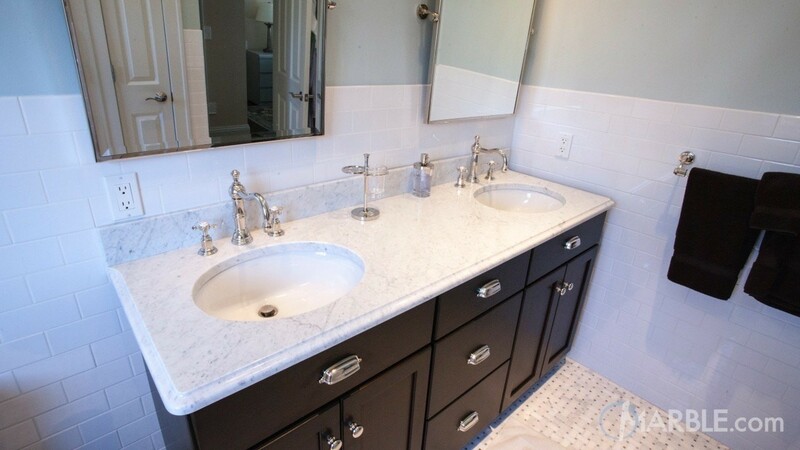 Marble and granite are both beautiful natural stones that have small differences. The differences, however, can be significant. They are among the most popular choices for kitchen countertops, bathroom vanities, and other applications, so having granite and marble slabs in your inventory gives potential customers the opportunity to review the material in person, and once they see it – they’ll want it! It’s also important for retailers to understand these two stones in order to provide accurate information and recommendations so their customers will have the information they need to choose the best material for their project, and to keep their marble or granite (or maybe both!) looking beautiful for years to come. This article will clearly identify the qualities and challenges of both marble and granite, as well as their recommended applications so that you’re prepared for customer inquiries. Marble is what’s known as a metamorphic rock; formed when limestone is subjected to extreme heat and pressure caused by tectonic movement of the earth’s crust. Granite is an igneous rock comprised primarily of compressed grains of feldspar, quartz, and mica that’s formed when lava cools and solidifies. Marble has a distinctive luxurious and classic look that’s uniquely its own and impossible to replicate. 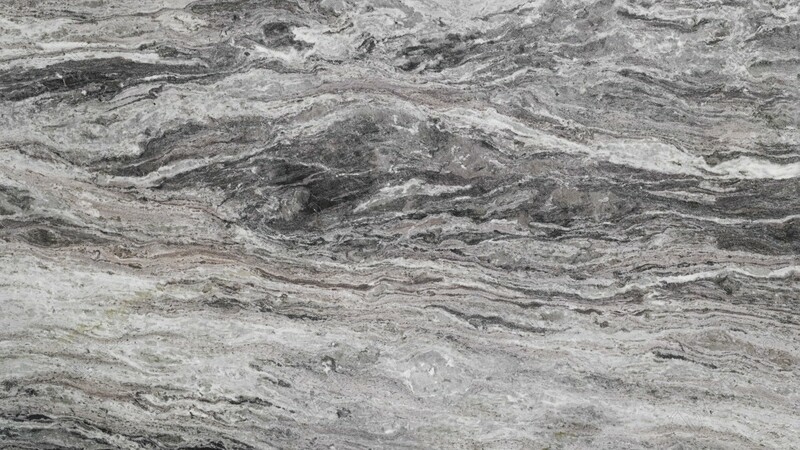 The slab color is generally consistent, a white-gray with darker veining running through it, however, different colorations are available. 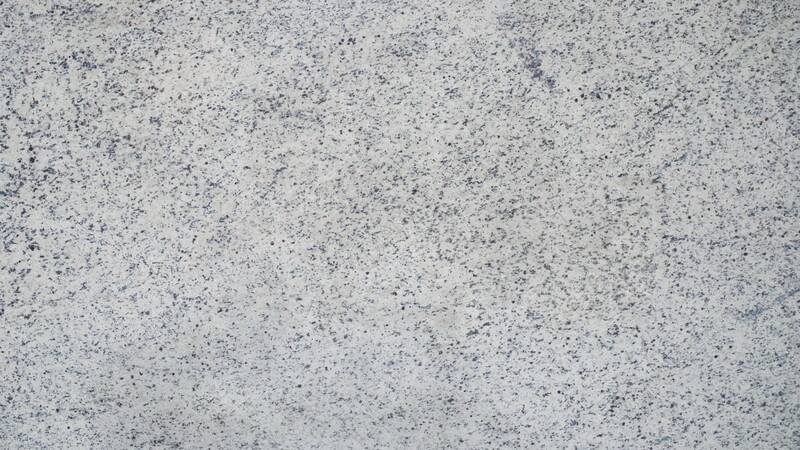 Granite is unmatched aesthetically and available in a wide array of colors and patterns. The mineral grains appear as specks of color and a slab can contain a variety of hues, typically in medium to dark shades of blue, green, burgundy, brown, orange, and red. Both marble and granite countertops are durable IF they are properly sealed as directed. Granite is one of the hardest stones in the world, which is one of the reasons it’s so popular. Its natural hardness means it’s more resistant to chipping and scratching than marble. 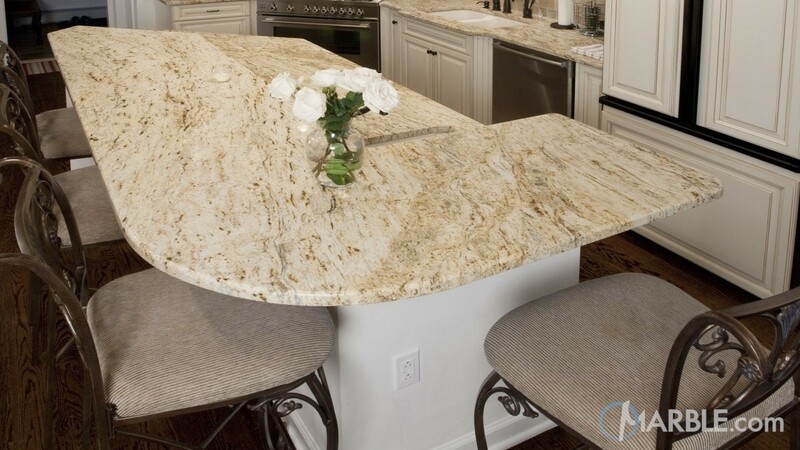 Granite is also one of the most heat-tolerant kitchen counter materials. Granite and marble are both porous materials, and without a seal, or when the seal fades and isn’t replaced, they can both experience staining. Marble is especially vulnerable to etching, which is a corrosive chemical reaction caused by acidic liquids and foods, one of the reasons it’s not typically recommended for use as kitchen countertops or in other high-traffic areas. The care and maintenance required keeping marble looking its best is keeping it sealed, avoiding acidic liquids and foods and wiping up spills quickly when they happen. Up to four times per year is what we recommend. Granite, by comparison, only requires sealing up to two times per year. Marble: Bathroom vanities, shower and bathtub surrounds, flooring, shower walls, fireplace surrounds, and kitchen workstation surfaces. Granite: Kitchen countertops, island countertops, bathroom vanities, flooring, fireplace surrounds, kitchen workstation surfaces, and numerous outdoor applications. A growing trend in American kitchens is to utilize both marble and granite as smaller workstation materials for activities. Marble and granite certainly present different looks and styles and in some cases that may be the most important element. However, in certain applications the function should take precedence, and while the "marble vs. granite kitchen countertop" debate and decision-making process continue, make sure you have both products in your inventory so customers can add it to their container.